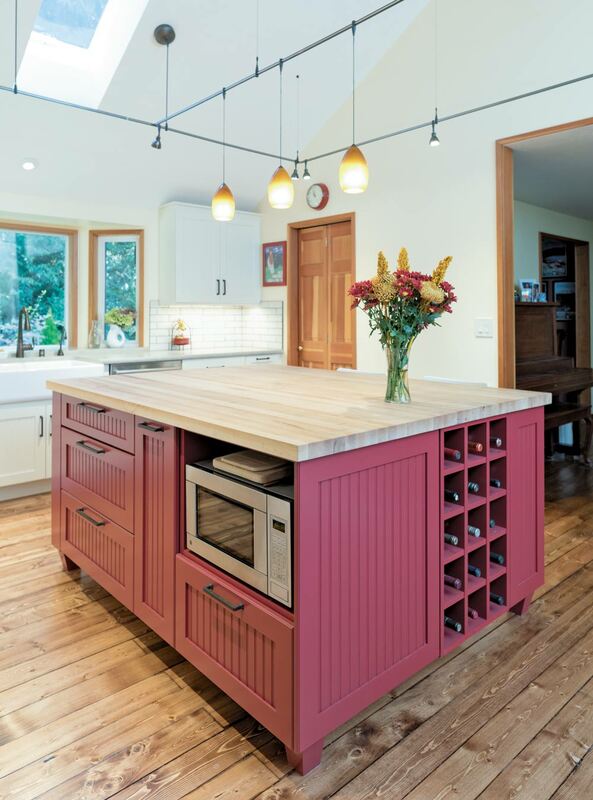 Do you have kitchen island envy? You are not alone! 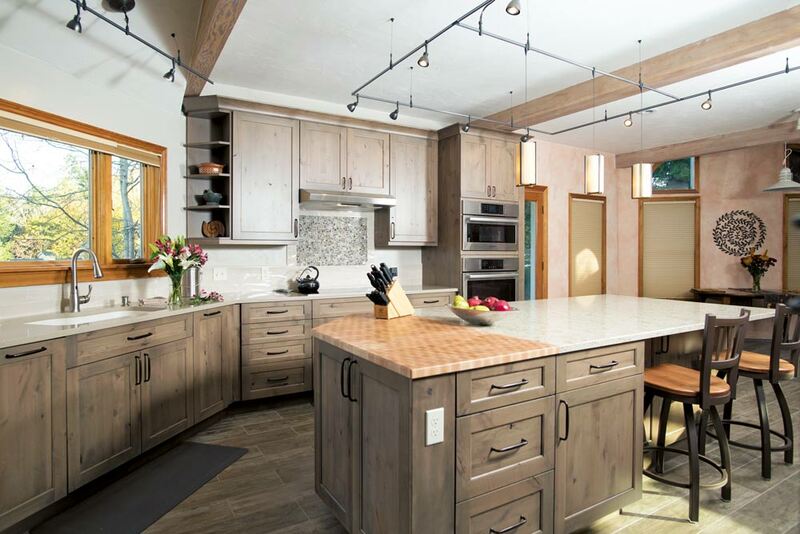 The majority of homeowners who have recently or are currently contemplating a kitchen project have or would like to incorporate an island in their project. What makes a kitchen island alluring? There are many reasons. One is that it’s a place to gather family and friends around in the kitchen but at a safe distance from the cook. Another is that it provides extra counter surface for meal preparation, extra storage capacity and the ability to incorporate additional appliances such as undercounter refrigeration, undercounter microwaves and hydroponic growing boxes. Indoor gardens can grow healthy and organic vegetables, herbs and microgreens in any kitchen by Urban Cultivator. 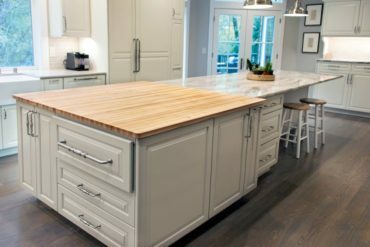 If you are planning an island in your next kitchen project, there are a few special items to consider. 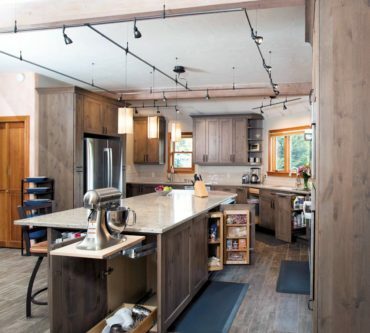 First, there are no building codes that dictate the size of a kitchen island. 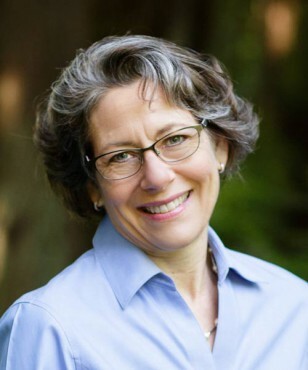 But design and construction professionals do their best to adhere to some common-sense design standards for the simple reason that these are in the best interest of their client’s safety. Island: It is best to maintain 42 inches between the edge of the island countertop and any parallel wall or countertop edge. 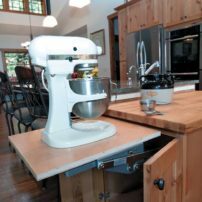 This allows two people to pass in the isle, walk around a dishwasher door that is down as well as carry a full-sized cookie sheet or roasting pan (complete with turkey) safely and ergonomically. If an island isle is intended for high traffic, it is best to provide 48 inches. Second, it is important to consider how to bring power to the island — which, depending on the size of the island, may be required by code — to service outlets and appliances. 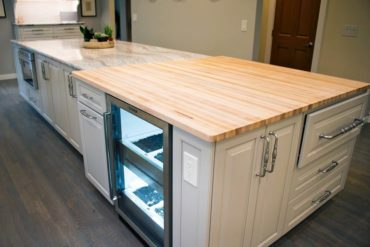 Third, it is important to consider how to bring water, drain lines and code-compliant dry vents to the island if you are considering a secondary sink, dishwasher or hydroponic growing appliance for your island. Butcher block tops and ample storage make for a great prep center. Appliances: Cooktops and ranges may be installed in an island, provided ventilation equipment can also be installed with them. Dishwashers installed in an island need to be paired with a sink for proper plumbing of both the water supply and waste drains. Undercounter refrigeration, warming drawers and ovens are a bit simpler, with just power required. 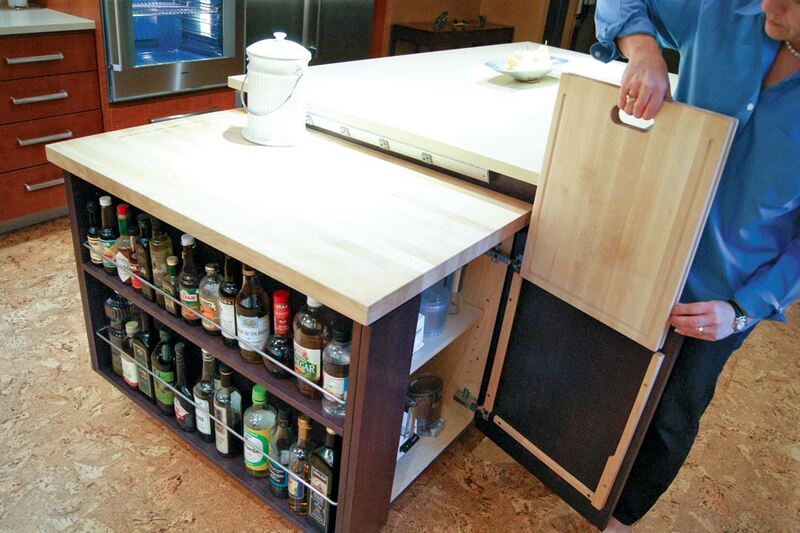 This multitasking island provides storage, seating and prep space. 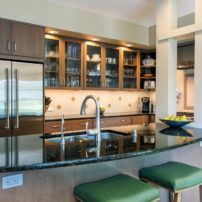 Countertops: When selecting a countertop for your island, first determine the primary function the countertop will serve. 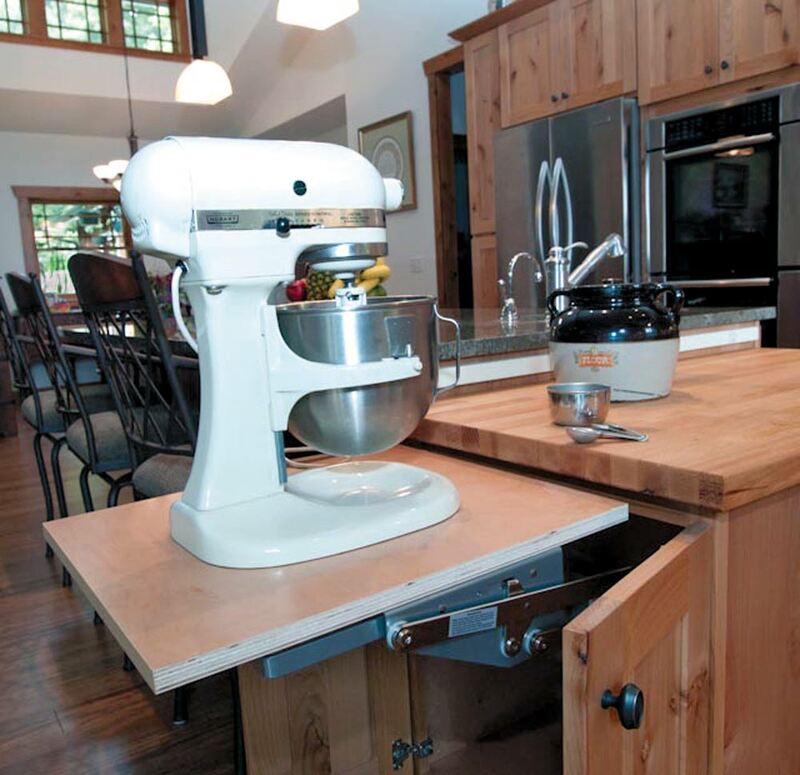 If the primary activity is food preparation, then oiled butcher block is an excellent choice. If the focus is seating and socializing, then a stone counter with unique veining may fit the bill for a dramatic and aesthetically pleasing countertop (it is acceptable for the island countertop material to be different from other counter surfaces in the same kitchen). 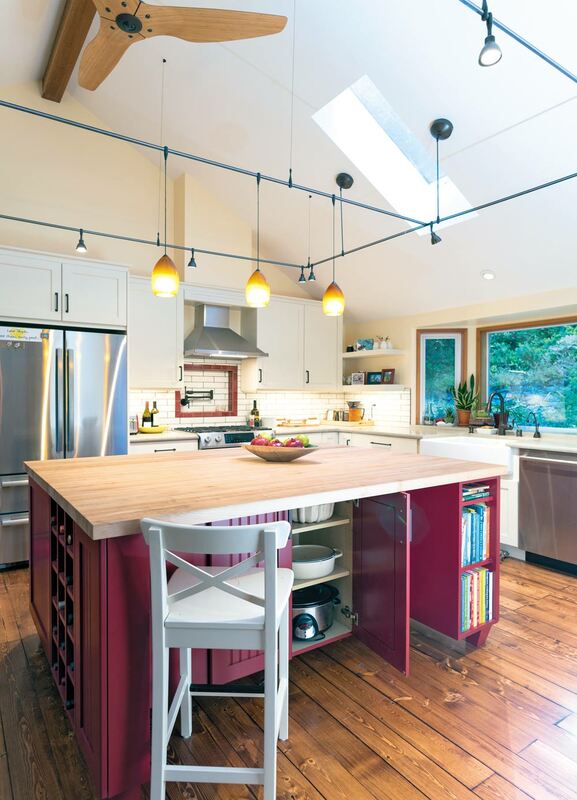 The height of the island countertop is something worth considering. For tall homeowners, having a counter greater than average height (more than 36 inches) may make food preparation more ergonomic and comfortable, while the opposite is true for more petite homeowners. 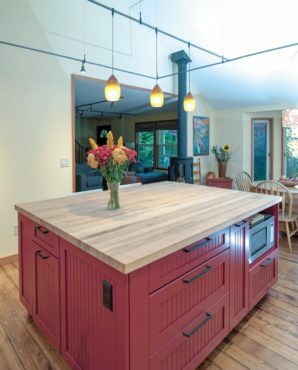 Additionally, if seating is part of the island composition, you may want to consider whether to keep the island top all one height, making it eligible for more preparation and serving space, or raising the bar section to minimize the depth of the bar overhang (the higher above the floor the bar overhang, the less depth required for leg space). 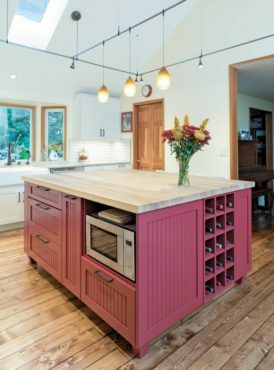 Storage: For kitchens with limited wall cabinets, the island can be a great location to pack in storage — chef’s pantries, dish drawers, pot and pan drawers, pop-up mixers and more. Before selecting storage options, you will want to determine if the island will be fixed or mobile. 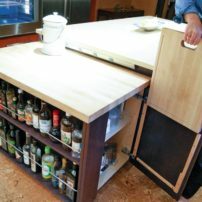 For smaller kitchens, a utility cart on locking casters, which has the functionality of an island with a surface for food preparation and space below for customizable storage, may be the best choice. A utility cart can be moved around the room for optimal functionality as well as pushed out of the way when not needed. 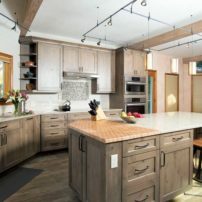 Cabinetry: Along with considering a different countertop for an island, many homeowners will select a different cabinet door style, a different cabinet finish or embellishment such as columns, decorative ends and bun feet for their island to give the room more texture and interest. 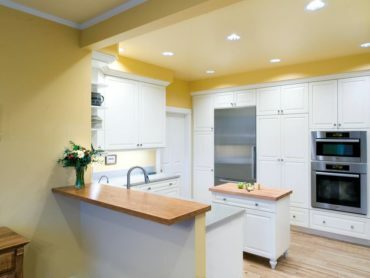 Lighting: It is important to consider how you will illuminate the surface of an island, especially if food preparation or seating is the primary function served by the island. 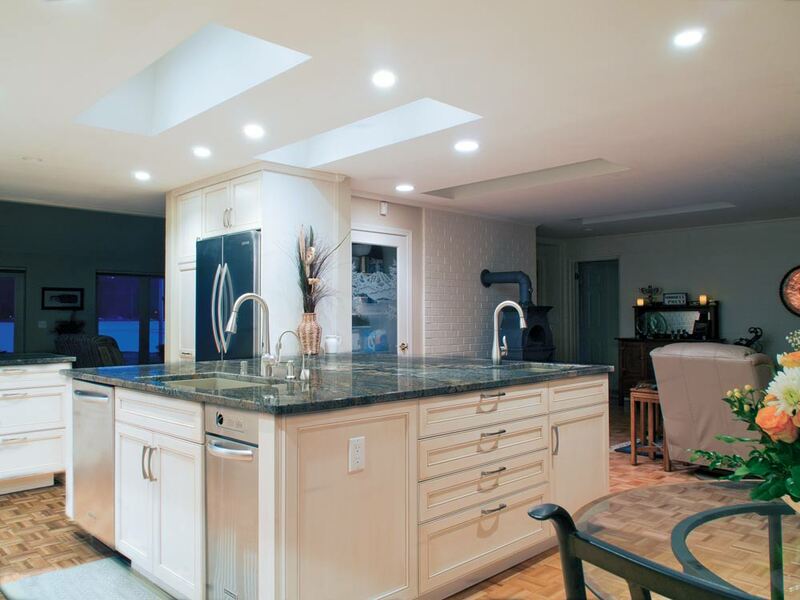 Depending on the height of the ceiling, you can consider a combination of ceiling-mounted fixtures such as recessed can lights or pendants on a dimmer for mood lighting. 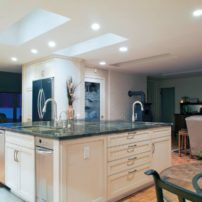 You can also backlight the countertop if it is sufficiently opaque, such as onyx, or install lighting in the toe kick for indirect illumination. 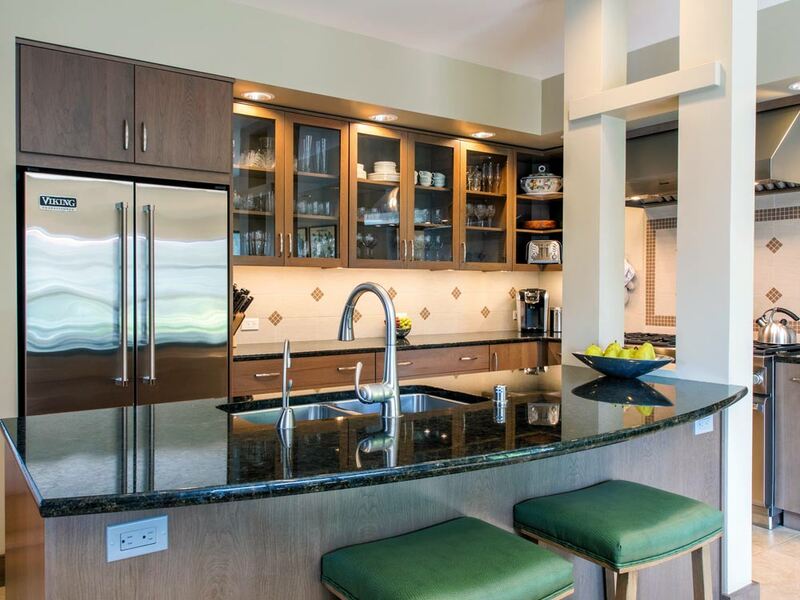 Islands provide a myriad of options for enhancing a kitchen’s aesthetics and functionality. Good planning will help ensure the features selected for your kitchen oasis are the best options for you and your home. This dual surface island combines end-grain butcher block with quartz.